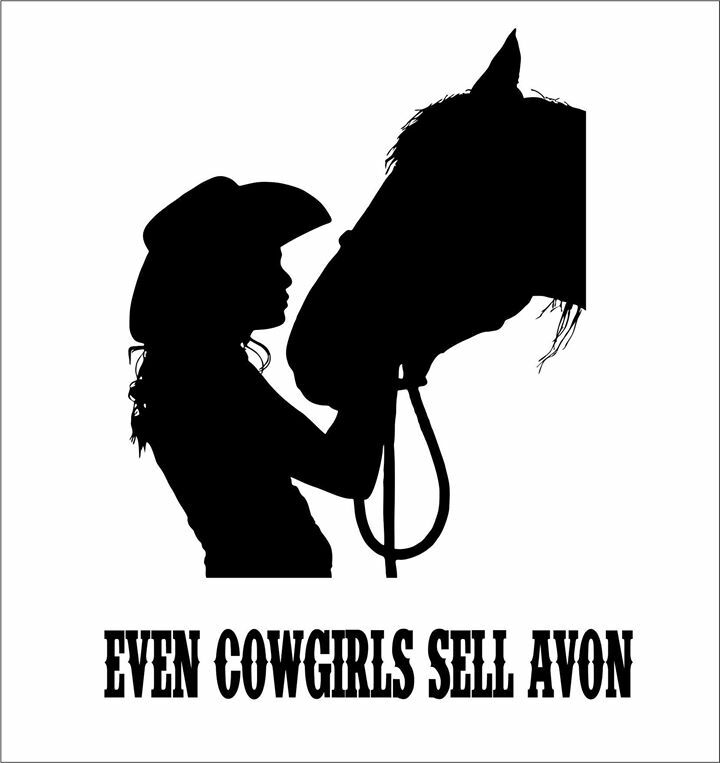 Avon? Cowboys? Recycling? What do these things have in common? Find out at our blog ! You did great, right? Ok ! Now for some reality . . . 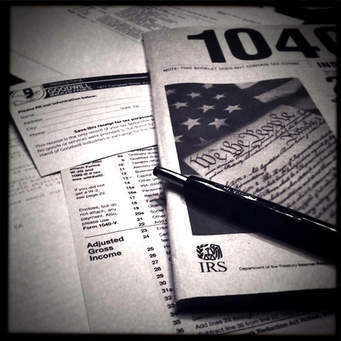 The only thing that is certain, death and taxes. 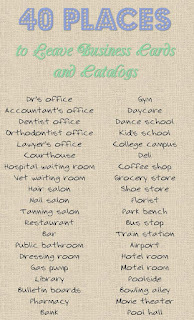 You have to start keeping track of your receipts (expenses of your business) and income. If your budget is really tight and you don't have a computer or access to one, then you need a pencil and paper. Write everything down that you spend towards your business (expenses), and write everything you bring in (income). Income - expenses = profit (loss). For more information as to what the US government says is a business expense, check out this link. An overview about taxes and small business can be found here. Avon also has created a worksheet that could help you keep track of your business expenses by campaign (not by month). It hasn't been updated since 2013 (that I could find), but it is nevertheless helpful. And while I am talking about money and keeping track of it -- keep your business money separate from your personal money. If you collect all of your Avon money from your clients as you collect their orders, and you don't have a separate bank business account, then put it in an envelope system like MoneySavingMom has. Now you want to get started on your next campaign while you are waiting for your order to come in. Start thinking about adding customers. Not every customer will order in every campaign. They also will not order in every other campaign. So to have a steady income, you will have to have a large customer base. Your Avon website has several free online courses and webinars in the Avon University that list ways to add to your business. There are also a lot of Facebook groups where you can interact with other Avon Representatives, both experienced and not, about many aspects of Avon and running / growing a business. Some examples are, Onward! No Matter What! (Molly Stone-Bibb); Avon Flyers by Alicia; Tuesdays with Theresa (Theresa Paul); Makeup Marketing Online (Emily Seagren), Monday Morning Madness (Lisa Wilber); and many many more. Remember the brochures I talked about in the last "Business on a Budget" posting? If you have an order to place that does not include any Avon products, I have been told that if you call Avon and place an order for only brochures and/or business tools, the Customer Service person can waive the shipping fee. Please let me know if you have tried this and it works ! Ok, but what if you don't have a computer or access to one or a smartphone with access to the Internet? We are talking budget, right? Well, frankly I do not see how you will be able to have an Avon business in the 21st century without some regular access to the Internet. Avon does have a phone system to submit your orders and they also have a paper way to submit your orders, but in the long run, everything will probably end up being digital. And many of your customers will want to communicate with you either by email or Facebook messaging or by texting. Remember in the last article I said that you need to have somewhere where you can access to the Internet? If you have a smartphone or a laptop or a netbook, but don't have the data plan, many places like McDonalds and other places -- think community colleges, hospitals, government offices -- have free wi-fi. BUT remember all the latest data breeches? Don't use an unsecured wi-fi link when you access your Avon account or your bank account. Another way to access the internet is by borrowing a friend's or family member's computer. And again you would want to take security precautions with your Avon account or personal bank information. Many public libraries also have free computers that are hooked up to the internet or you could see if your local community college would let you use their computer lab. Don't forget those security precautions though ! So I am assuming that you do or have access to, the Internet. Budget-wise, what's better than FREE? Your Avon sign up fee includes a 24 hr 7 day a week online store. There is some customization you can do to it. Some tweaking to make it your own. Keep this updated and work to drive traffic to it. Start your own blog -- there are several places where you can do that for free, make your own business Facebook page, have a tagline on your emails that list your Avon website, also have a tagline on your Facebook posts. These are secondary ways to get your information out there -- buttons, pins, and nametags. Ok, I am still talking budget here. If you go to the your Avon website, click on Avon University, then click on skin care clinics' graphic. That will bring up the page with the listing for the in person skin care class (Expert) which costs between $70 - $100. For registering & attending that class, you get a set of Ultimate products (value of $160), a skin care book that is nice enough to show your clients, a certificate, and a training booklet. 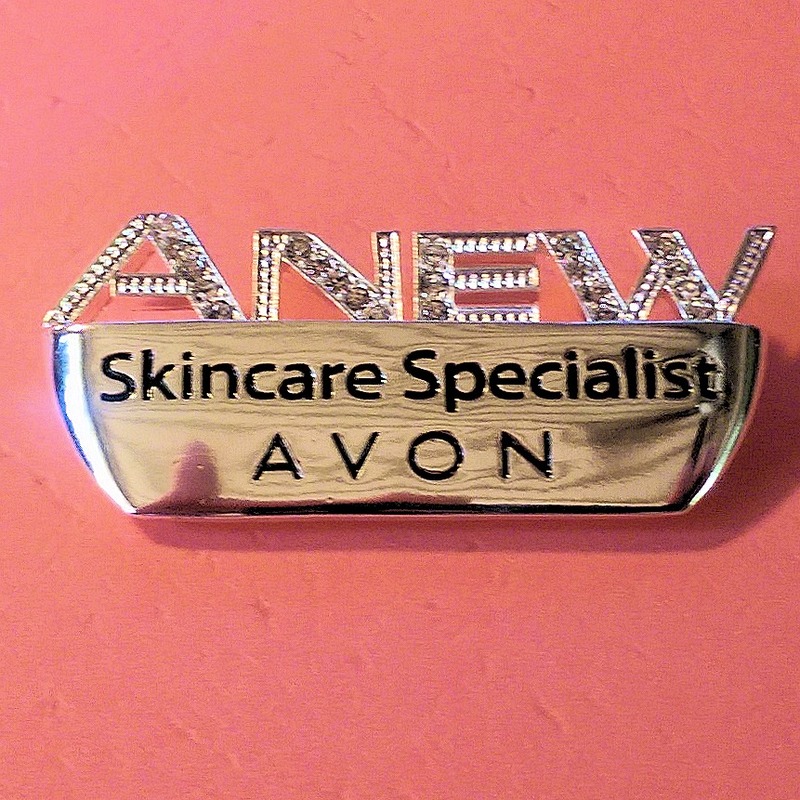 The online class through Avon University, ends with you getting an Anew Skin Care Specialist certificate, and a pin. This class is FREE. 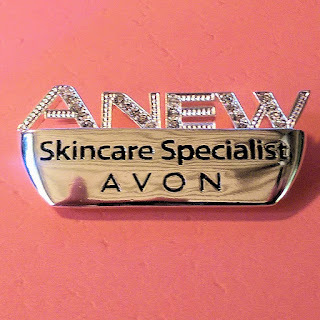 After you've finished the online class, please apply to the Facebook Group for Anew Skin Care Specialists. Another Pin you can get yourself is this pin that you can purchase for $1.00. For those of you whose districts still have in person meetings, I have heard that you can get free samples, products, and pins like this one below, just for attending. Business cards are expensive, right? Wrong ! Wal-mart has Avery Business Cards that you print yourself -- $26.54 for 1000 business cards. But wait, that's just for the heavy duty perforated paper. You have to have a printer and printer ink to do it yourself. 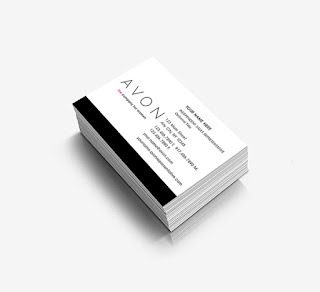 Town & Country (use the link to this business that is on Your Community tab of the Your Avon website) has professionally printed cards, 500 for $16.95. Vista also has business cards and occasionally run sales. OK, next, if you don't already have a primary job, then you need to spend a lot of your time learning about this business and then DOING the business. You can set your own hours, that is true, but it doesn't mean that you work 5 hours and get 40 hours of income. That means, if your child is sick, you can take the day off and do business, by phone or Internet, instead of in person. You can work at night and sleep all day. This is your business, after all. But you will only get out of this business what you put into it. Go to your local library and see what books they have to check out about marketing, small businesses, accounting, motivational, etc. Join the Facebook groups I mentioned above. Talk to your upline about what training they offer in your area. Ask everyone which 2 books they would recommend for you to read; get them to make specific recommendations, then see if your library has those books or could get them for you on interlibrary loan. The reading is for teaching you about business and running your small business; the facebook and training in person is about Networking -- meeting people who can help you in this business. You also should be willing to help others when they need help. This is also a part of networking. Volunteer, talk with people while you are out and about in your normal day of errands. 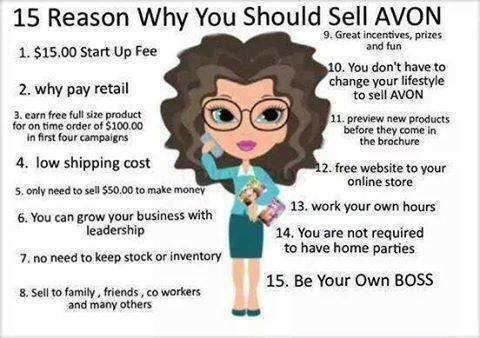 Carry your brochures with you always, and have on yourself or your person some Avon logo (shirt, pin, etc). 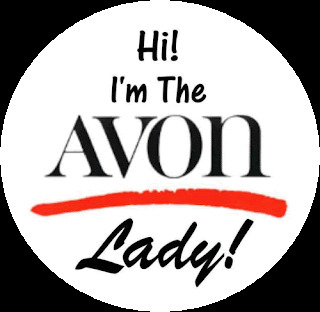 I have had people ask me about my Avon pin when I wasn't necessarily in the Hi I am the Avon Lady mood. It works ! Sometimes when you least expect it to ! Visit Four Aces Mercantile's profile on Pinterest. copyright 2015 by 4AM. Simple theme. Powered by Blogger.